During college I began to write. I kept a long and detailed diary till I joined IBM in 1979. Somewhere around 1986 I finished my first novel and two years later another. With the demise of iXL / Scient, I have had time and, with Lauren's help, to publish three novels. I also write a column in The Racing Post. Everyone envisions their ideal life. Realizing that vision, though, is where the challenge lies. Often the life we pine for is a far cry in the distance to that actually led as we continually make compromises merely to survive. 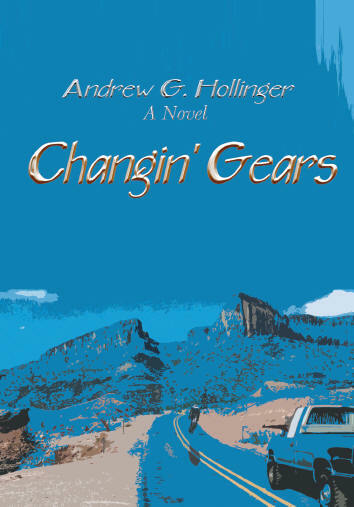 Enter Zach England, the main character in Andy Hollinger’s latest novel, Changing Gears. At 35, England’s company begs for more responsibility, his wife wants a baby, but all he wants is to ride his bike. 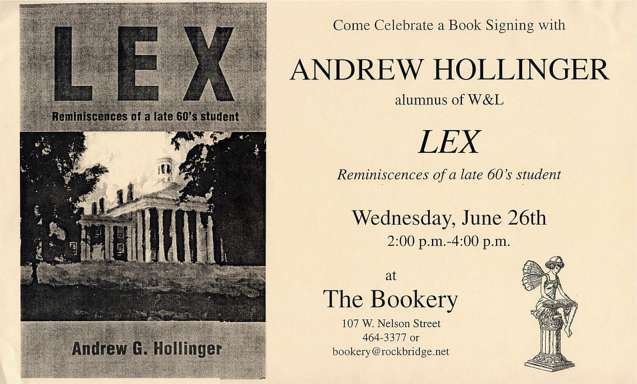 However, Hollinger’s latest isn’t about an aging bike racer, but rather the everyman who yearns for a life where he can pursue his passions without compromise. On top of it all, England has enemies, those working hard to not only defeat his dream, but eliminate him entirely. Zach’s dilemma is beyond vexing, it’s insidiously dangerous. Changing Gears could easily be about a musician, actor, or single parent faced with a lifestyle decision. Do they give up, and lead the life others want for them, or stay true to themselves, even if it means disappointing those who depend on them? Hollinger explores what happens when we stand up for ourselves. The outcome is downright disturbing, but the resolve … is ever so sweet. 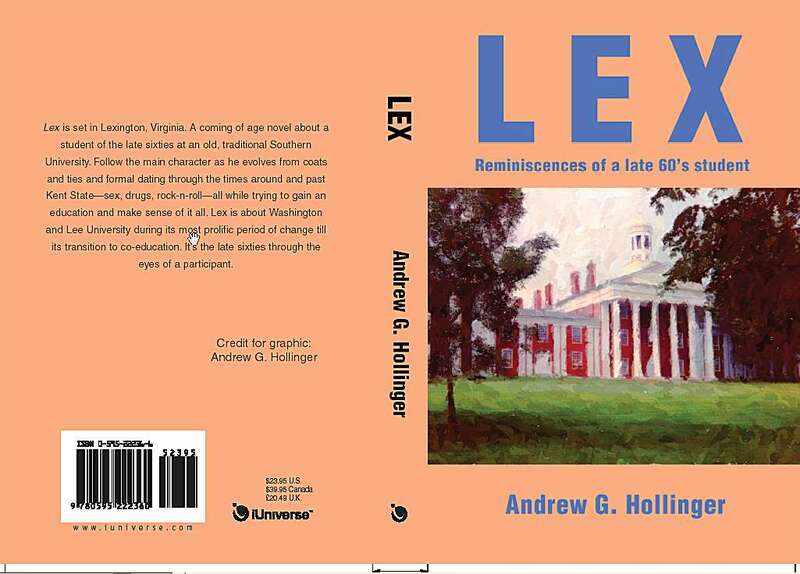 The first novel, published in April 2002, is about my college years at Washington and Lee University. For a closer look at the Cover and Jacket Notes, please take this link. I will inscribe a copy for you. Once you receive your copy, email me and I will send you a adhesive signature for you to place on the title page. 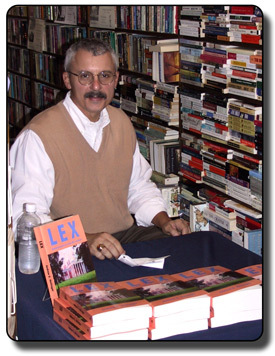 There is another novel, Hangin' On (which used to be named Changing Gears), published in December, 2002. This one is about Texas bicycle racing, family life and careers in today's environment. On the right, you can read the review from the back of the softbound cover. There is also be a hard-bound version. Below is a larger version of the cover. Every month, I write a column on Masters 45+ road bicycle racing for Texas Racing Post whose circulation is over 15,000 copies a month and, as well, has an on-line version (whose website, I designed and maintain.) Here is an example of my published articles. 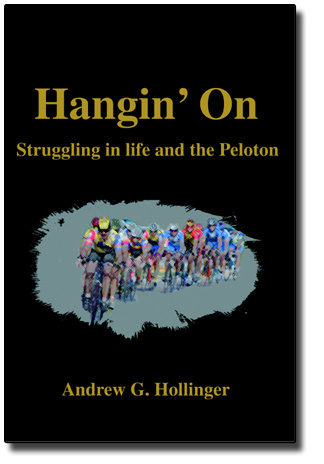 Hangin' On is available at iUniverse.com and soon the Barnes & Noble on-line store as well as Amazon.com and search for Andrew Hollinger in "Books"
We all continue to grow throughout our lives, or at least, we try to do so. The growth and growing pains of adulthood are identifiable in Hollinger’s Hangin’ On. Bike racer or not, readers will empathize with Jerry, Anne, Robert and the rest of the characters. In bicycle racing and life in general, heroic and tragic efforts are often overlooked, because the order at the finish line receives the most, if not all, of the recognition. What goes on between the starting line and finish line is still only part of what it takes to complete the plot. What happens after crossing one finish line and the next starting line is where our heroic and tragic moments happen the most in both the real world and in bike racing. One need not be a cyclist on the roads crossing the Texas prairie or a white collar professional in a big city to identify with the characters of Hangin’ On, because those who are passionate about anyone or anything will feel it. But be prepared…Hollinger subtly gives a wake up call, and what you saw in the mirror before Hangin’ On may not be same after.